Beijing Monday unveiled cooperation agreements with Hebei Province on the construction of Xiongan New Area, a new development area southwest of the capital, according to a press conference by Beijing Municipal Commission of Development and Reform. The agreements were signed after a group of the city's leaders and heads from Beijing's different districts, departments and state-owned enterprises paid a visit to the new area on Thursday. The agreements focus on eight areas namely working mechanisms, scientific and technological innovations, transportation, ecology, industry, public services, construction plans, and talent exchanges. Liu Bozheng, deputy director of the Beijing office overseeing the integration of the Beijing-Tianjin-Hebei region, said at the press conference that Beijing will provide comprehensive support as required for the construction of Xiongan New Area. Beijing will support cooperation between Zhongguancun Science Park and Xiongan New Area to build a science park in the new area and accelerate the construction of transportation infrastructure between Beijing and the area, including a high-speed railway, intercity railway, and expressway. Some Beijing based state-owned enterprises such as Beijing Energy Investment Holding Co., Ltd. and Beijing Waterworks Group will provide services for the new area. Three schools and a hospital will be built in the new area with the help of three prestigious schools and a hospital in Beijing, according to one of the agreements. At present, Xiongan New Area is in dire need of high-quality public service resources, Liu said. These agreements will take advantage of Beijing's education, health care, and scientific innovation resources to come up with a batch of specific projects in Xiongan. Beijing will provide talent and technical support for the new area's urban planning, surveying and mapping, Liu said. 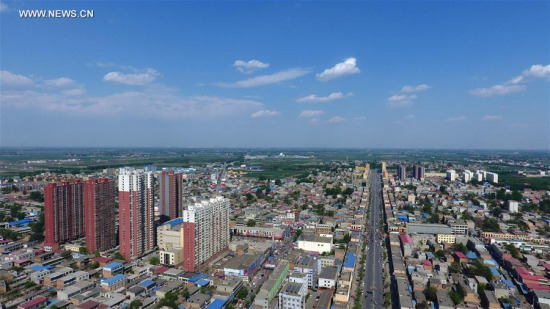 The capital will also share its experience in the construction of its eastern suburb of Tongzhou, which serves as a "subsidiary administrative center," according to Liu. Following the success of the country's economic zones in the Pearl River Delta and Yangtze River Delta regions, Xiongan is expected to promote the formation of a world-class city cluster.